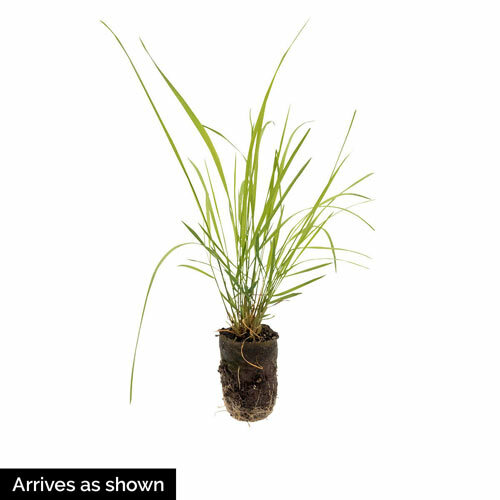 Diamond Grass | Gurney's Seed & Nursery Co. The name of this ornamental comes from the way morning light catches the dew, creating hundreds of sparkling gems on the stems. It has a graceful upright habit in full sun, but it even performs well in full shade, growing up to 4 ft. high. Blooms from midsummer on. Zones 4-10. HeightUp to 4 feet tall when in flower. Flower FormAttractive plumes emerge with a tinge of pink and mature to creamy tan. BloomsLate Summer onward for Winter interest. Soil RequirementsMoist, fertile soil but will adapt to many soil types. PruningIn late winter or early spring trim back before new growth starts. CommentsCommonly called 'Diamond Grass' for the way the morning light catches the dew and looks as if hundreds of diamonds are sparkling on its plumes. 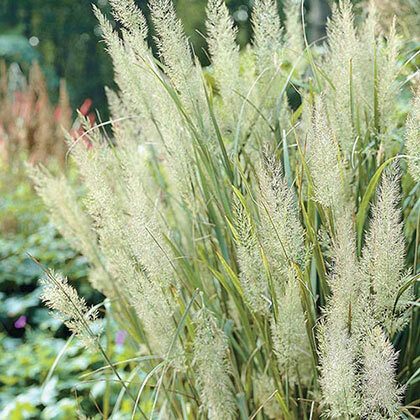 Stately ornamental grass that will perform in full shade with a somewhat relaxed habit and more upright in full sun. Will serve as a wonderful main focal point for the Fall season.